Howard Tullman, CEO of 1871, shared his perspective on the impact of innovative technologies on the DuPage County economy with an audience of 700 top business leaders during the 8th Annual DuPage County Regional Business Outlook event on May 3 at the Drury Lane Conference Center. The annual event, hosted by Choose DuPage Economic Development Alliance, Mesirow Financial and Ice Miller, brought together nearly 700 local business owners, executives, government and education leaders, as well as other members of DuPage County’s business community to share insights about the emerging technologies and their effect on the current regional and national economic landscape, as well as to discuss best practices and growing potential in today’s economy. During his keynote address, Tullman expressed to the crowd that to remain relevant in the growing economy, companies must quickly adapt to new, innovative technology and services that enhance the lives of consumers—whether that be by saving time, money, or energy. 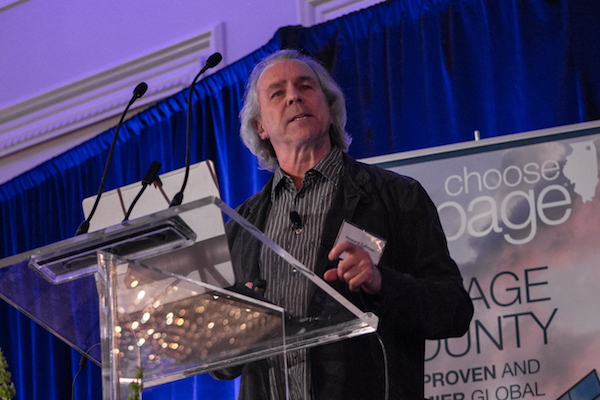 From ground breaking new wearables to the latest social trends, Howard Tullman offered a no-nonsense and straightforward talk inspiring local business leaders to get active inventing the future. Tullman provided an exciting and rapid fire review of the major tech trends that will radically shake up the ways we think about disruptive innovation, new product development and satisfying the accelerating demands of your customers. Prior to Tullman’s remarks, Dan Cronin, DuPage County Board Chairman, provided an overview of the current DuPage County economic outlook, while Leo Harmon, managing director, equity management for Mesirow Financial and Peter Hegel, senior managing director, fixed income management for Mesirow Financial, presented a U.S. Market Outlook. The presentations offered an optimistic view about current market trends provided pro-growth and pro-business policies are enacted by the local, state, and national governments. 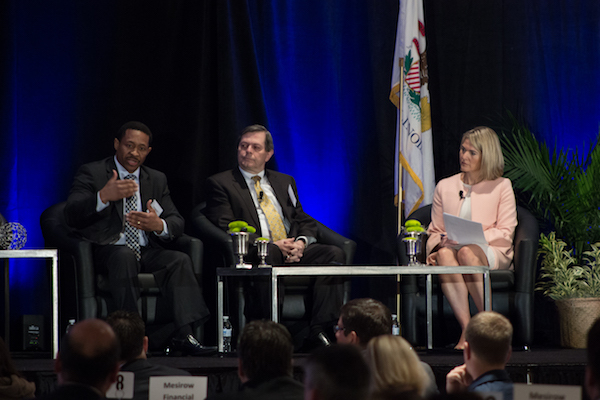 Following the keynote presentation, business journalist Lisa Leiter hosted a panel discussion on advancements and opportunity in DuPage County with Vincent Tomkinson, Midwest managing partner, Grant Thornton; John Carlisle, interim director, Chain Reaction Innovations, Argonne National Laboratory; and Roman Kuropas, CEO, president and founder, Innova EV. 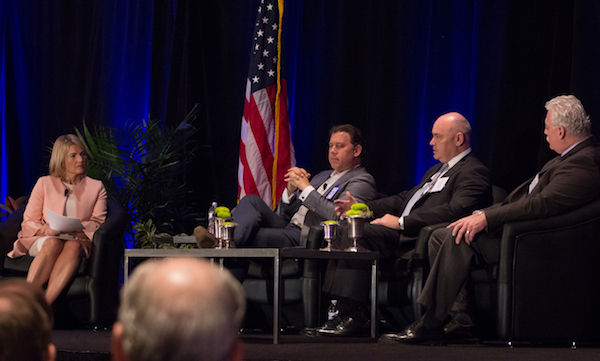 The panel’s remarks echoed the theme of the overall event which positioned DuPage County as a smart choice for overall business success. DuPage County offers a business-friendly environment, skilled workforce, high quality of life and growing industry sectors including manufacturing, business services, healthcare, retail and technology. 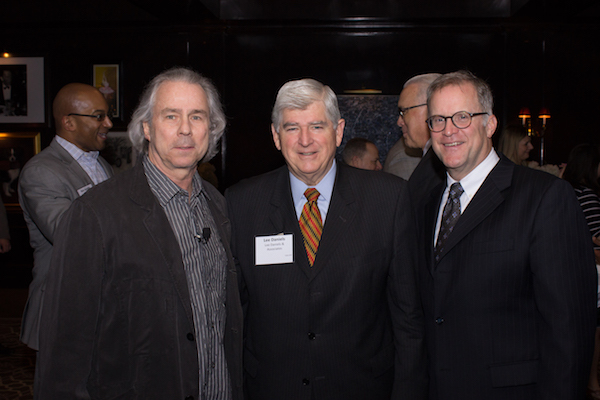 DuPage County is experiencing a prosperous business climate and today’s event reinforced the spirit of innovation and opportunities throughout the business community.